Speaking at the Multi-Unit Foodservice Operators Conference in Dallas last month, Sherif Mityas, chief experience officer of TGI Fridays, explained how his company boosted its to-go business over the past 12 months in part by sending push notifications to customers who had signed up for their loyalty program so they could be prompted to order dinner from the chain like they had in the past. Among its many values, loyalty programs allow brands to tailor experiences to customers who have opted in to having their data and buying habits to be collected and analyzed. 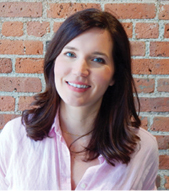 As loyalty programs go, Dunkin’s is among the best, according to Terri Burton, Content Team Lead at Paytronix, a customer engagement software provider. “Data is everything. What menu items they want and what drives behavior and what they buy. We stacked Dunkin’ up against our design principles and they checked all the boxes,” Burton says. D Perks program in 2014 – two years after it premiered its mobile app – then-CEO Nigel Travis said, “Dunkin’ Donuts is committed to developing and delivering technology that supports our growth and distinguishes our brand for offering the very best guest experience.” Burton says the brand was able to accomplish those goals by making its program simple for customers to use and quick to pay off its benefits. “It is simple for customers to understand and for servers to understand and explain it to customers,” she says, noting that customers who sign up get a free beverage right away and then one each time they earn 200 points. 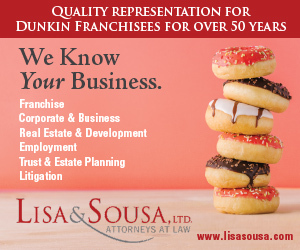 Dunkin’ is also successful, she says, because the rewards customers earn represent high-margin items for the franchisees, so the impact to their bottom line is minimal. In terms of program design, Burton notes that Dunkin’ wisely targets its program to its average guests—not the ones who are already most loyal, since they will be coming in anyway. “Those in the 50th to 90th percentile are the ones that are really going to move the needle for you,” she says. “In terms of the core program give back, we think the sweet spot is 4 to 8 percent. You don’t want to be too high because you want to leave room to do some offers as well.” Paytronix finds Dunkin’s give back is squarely at 5 percent. Dunkin’ also rates high in terms of member acquisition—giving customers new reasons to enroll in DD Perks and download the app. One strategy Burton highlighted in her Paytronix webinar, “How Dunkin’ Keeps Us Running Back For More,” was the tie-in with the New England Patriots. In 2015, Dunkin’ gave away 2.25 million free cups of coffee to customers who came in on the day after the football team won. In subsequent years, Dunkin’ made the prize available only to those enrolled in the DD Perks program. Dunkin’ has also made a concerted effort to reward loyalty members by providing a special drive-thru lane or in-store pick up area for mobile orders made through the app. 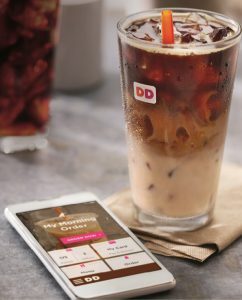 Tony Weisman, Dunkin’s CMO, told QSR Magazine that the brand was seeing “significantly higher” mobile order and pay in markets and stores that lend themselves to it. “We’re making the mobile order and pay pickup area clearer for consumers to see it, so that those who are not aware are trying it,” he said. The brand’s adoption of technology is definitely paying off. This year, the location technology company Foursquare ranked Dunkin’ second among brands with the most loyal customers—just behind Starbucks and ahead of national giants like McDonald’s, Taco Bell and Panera Bread. When he released third quarter 2018 earnings last month, Dunkin’ Brands CEO Dave Hoffmann said same store sales were up, even as foot traffic had slowed. Dunkin’ announced it was investing $100 million in upgrading restaurant equipment and technology—which will further support the DD Perks program. According to Burton, another way Dunkin’ is pulling people into its loyalty program is by creating incentives that drive customers into slower dayparts—like late afternoons. Offering $2 iced coffee between 2:00 p.m. and 6:00 p.m., she says, helps “change people’s behavior and get them out of their typical buying habits,” and because Dunkin’s loyalty program is so simple to join and rewards its members quickly and easily, the brand has a great opportunity to acquire more members from the cohort of casual customers drawn in by limited time offerings. So how can Dunkin’ franchisees help increase loyalty program members? Burton says servers need to engage directly with customers and ask them, “Are you a member of our DD Perks program?” She also believes the brand could do a better job explaining the simplicity of the program and its benefits through in-store signage. Those criticism aside, Burton believes Dunkin’s program can be held up as a model for others in terms of its simplicity, program design, engagement and segmentation: using the data available to segment guests and target them appropriately. 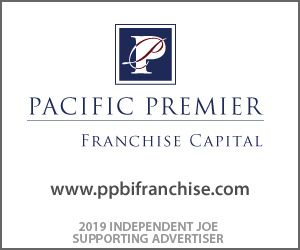 For decades, franchisees have preached the importance of treating their customers like gold—knowing their names and how they take their coffee. Now, in the age of “new gold,” customers enrolled in the DD Perks loyalty program are paying the franchisees back with a treasure trove of big data the company can use to generate more sales and even more loyalty.